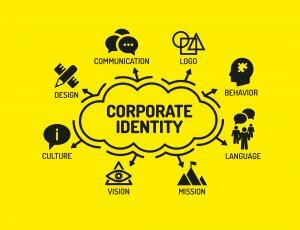 In today’s world, it’s imperative to have a brand identity to differentiate your business from others and to create a value. 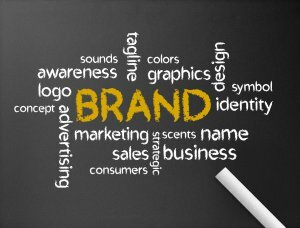 Brand identity means how you want your customers to perceive your business. A business has many components such as name, logo, tagline, tone and typeface which are created by the business to reflect the value of the company. It’s all done to bring the name of the company into the market and to appeal to its potential consumers. The foremost important step in the direction of creating a brand identity for your business is to know what you want, need for your business and strategize it accordingly. You need to formalize a brand strategy to form some set of values and proposition on which the whole framework would work. A benchmark is needed to be set to compare future results and to get the jest of ongoing accomplishments. You must have heard or read that content is the king. Well, it’s true. Content is a crucial element of brand identity. It is what your customers understand of your business. It is imperative that you create high quality content that best suit your customers needs and fulfills their expectations to the maximum. You should always be in the know of what your competitors are currently working on as in what type of brand identity they have in the market. If you wish to compete or go ahead of your competitors, you need to know them, follow them and find ways to surpass them. In terms of brand identity check out their colors, typefaces and visual styles of your rivals to get an inkling and then create something unique and different from them all. A website is the need of today in this online era. You can find a website designer to build a website for your business providing the required online presence. You can make it more empowering by making use of visual devices on your website to get more traction. You can ask your web designer to add your values to your logo and colors as a first phase of your brand identity. . But you have to be careful doing this as different countries have different cultural views and this will affect the perception of your logo.. Affiliate Marketing means the use of brand assets to build lasting relationships with other brands and to develop closer relationships with your customers. You can create a brand that has friendly personality to develop a connection and a relationship of emotion. You don’t have to be fake or exaggerate things, just be real, simple and friendly with your customers and that will do the trick. Through these simple steps you can create a brand identity of your business to connect, add value and appease your customer. You don’t even need to look, Smashed Media offers qualitative services in Boca Raton to give your business the best and right brand identity that will best serve your customers. contact us and get your brand identity created today!